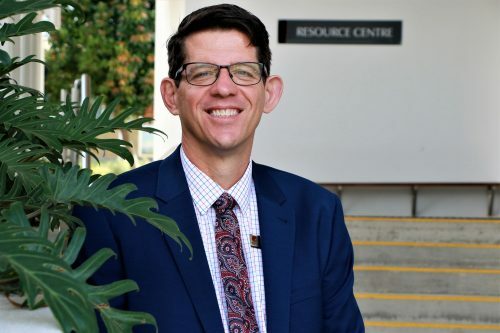 As the new principal, I am thrilled to welcome you to Caloundra Christian College. We are starting on an exciting journey of growth, change, and innovation. This journey sees us connecting our College ethos and values with a bold, student-centred future. One which epitomises our core belief that each child is unique and created in God’s image to succeed and live a life of purpose and fulfillment. Our College is undergoing a complete redevelopment of our facilities with our state-of-the-art library and primary facilities already complete. However, Caloundra Christian College is more than just buildings. We have a very strong reputation of being a caring and supportive community; one where parents, teachers, and students come together with Christ as the centre. Our classes are filled with incredible young men and women, who demonstrate character, confidence, and a genuine desire to make a difference in the world. 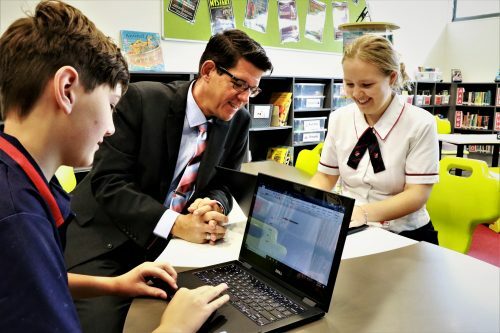 I encourage you to explore how Caloundra Christian College can support your child to establish strong foundations for their learning and life and look forward to meeting with you and sharing how we can partner with you to see your child flourish.